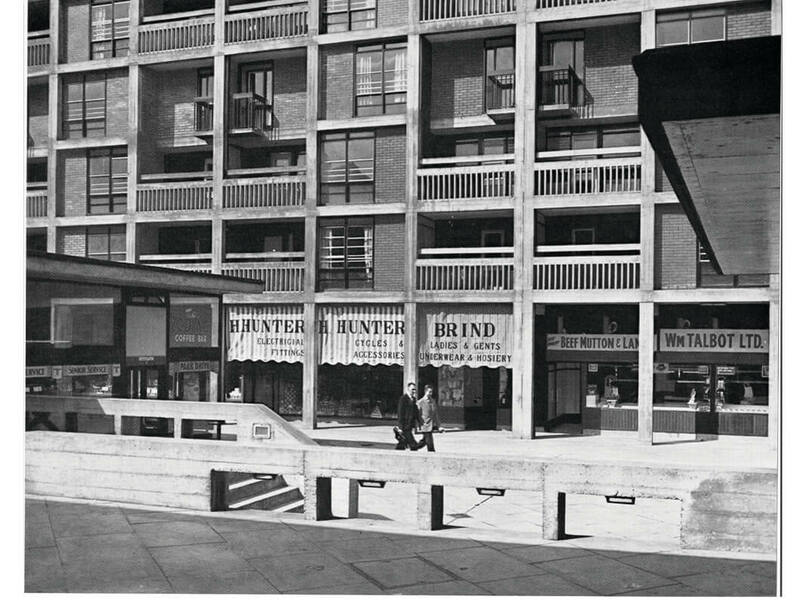 With Park Hill entering its final stage of redevelopment, we’re putting together a feature to gauge opinion on the iconic building’s past, present and future for our next issue. If you’d like to get involved in the discussion, drop a line to joe@exposedmagazine.co.uk. 1930s – Due to poor sanitation and a rise of violent crime, clearance begins of back-to-back slum housing in the Park Hill area. 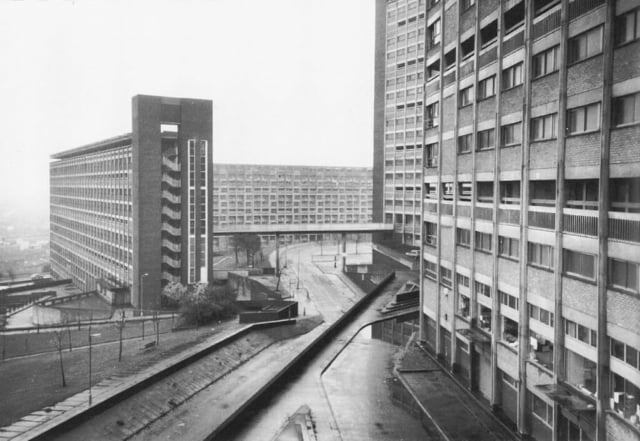 1950s – Following the Second World War, Sheffield Council return to a plan for the construction of multi-storey flats for thousands of residents living in unfit housing. In 1952, Unite D’Habitation, a large-scale residential housing project in Marseille, is built after being designed by Swiss-French architect and pioneer of Brutalist architecture Le Corbusier. These buildings provide early inspiration for the council and in 1953 architects Jack Lynn and Ivor Smith begin work on designing the Park Hill complex. 1957 – Building work commences and the flats are finished four years later. The ‘Streets in the Sky’ ethos aims to promote a strong sense of community; old street names are used, past neighbours re-homed next to each other and wide pathways – big enough to allow milk floats to deliver their rounds – built to encourage social interaction on each floor. 1961 – The Park Hill estate is officially opened by Leader of the Opposition Hugh Gaitskell. 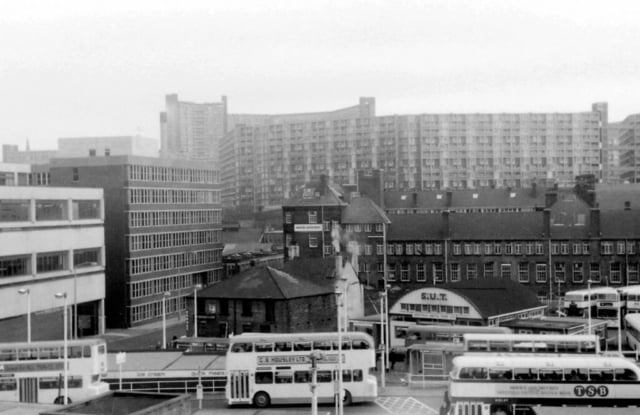 The original development consisted of nearly 1,000 flats, four pubs, a wide selection of shops, a nursery, school, doctor’s surgery, pharmacy, dentists, garages and a community centre. 1980s – As the decades passed, a lack of funding saw the flats fall into disrepair. The estate gained notoriety in Sheffield for crime and drug use. 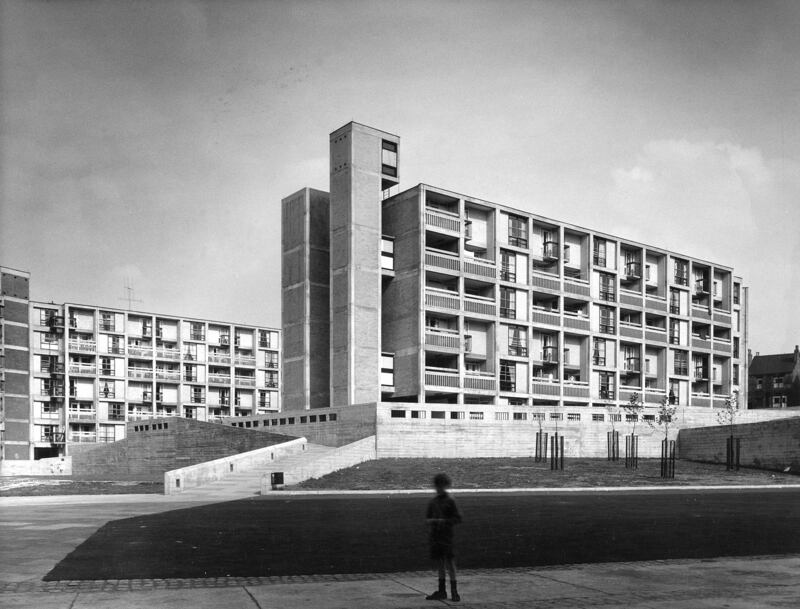 1997 – English Heritage grants Park Hill Grade-II listed status, making it the largest listed structure in Europe. 2004 – Developers Urban Splash purchase the estate and begin redevelopment plans. 2013 – Phase one of the redevelopment is completed, creating 260 homes, 10 workspaces and a nursery within the derelict concrete structure. However, some social housing advocates argue that original Park Hill tenants have been priced out by the prices. 2017 – Plans for phase two released: close to 200 new flats and 2,500sqm of commercial space, including offices and cafes. 2018 – The final regeneration phase, a 350-capacity student halls of residence in the southern block, is announced by developers. 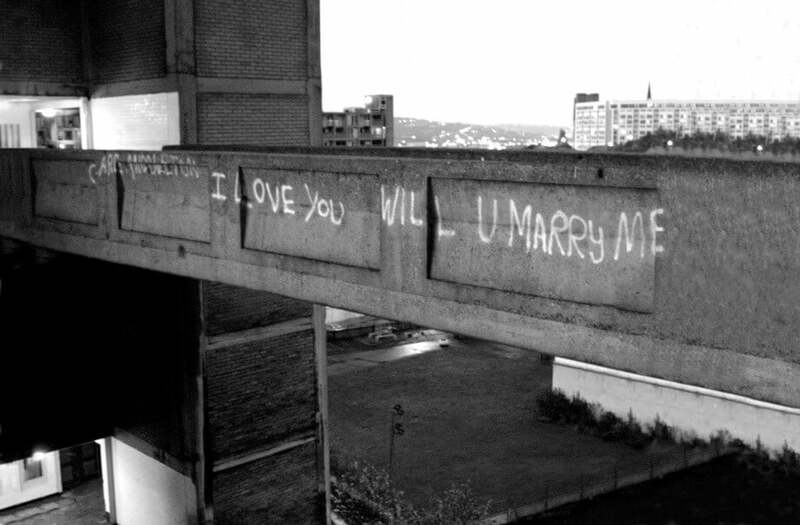 Love them or hate them, you can’t deny that Park Hill flats are a big part of Sheffield’s heritage and look set to shadow the city centre for some years yet. We’d like to hear thoughts from current residents, ex-residents, artists, photographers, or anyone with a connection who’d like to share an opinion.